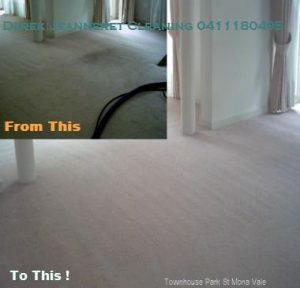 I offer Personal, friendly and honest old fashion carpet cleaning service based in Warriewood. I have been in the professional carpet and upholstery cleaning industry for over 33 years! A family run Carpet Cleaning business that has been serving Sydney’s Northern Beaches exclusively for the last 27 years. I only use the most effective cleaning system that deep cleans your carpets, and flushes out the dirt and pollutants from the fibres using hot water. I try and only use non-toxic biodegradable and environmentally friendly chemicals. When possible I use citrus based products that leave your carpets and upholstery clean, safe and fresh again. As a father of three children, I know the mishaps kids can have with your carpet. But because health is the most important thing to keep in mind, both for you, your children and myself, you can be assured I will only use the safest and natural cleaners and spotters possible to get the job done. All work is to or exceeds AS/NZ3733-1995. With 33 years experience in cleaning carpets and upholstery, you can be assured all work is preformed to a standard not a price. Customer satisfaction is still our number one objective!